The founders of Complexica have worked together for almost 20 years building enterprise software applications that are “smart” and “adaptive”. Such applications bring together the disciplines of algorithmic science and software engineering, as the “science” enables the "smarts" within the software. In addition to authoring thousands of publications and dozens of books, our staff and scientific advisors possess decades of real-world experience in applying Artificial Intelligence to complex business problems. Our enterprise software optimising decisions employs techniques from a range of fields, including deep learning, predictive analytics, machine learning, artificial intelligence, simulation, and big data analytics. Matt Michalewicz has more than 20 years of experience in starting and running high-growth tech companies, especially in the areas of machine learning, predictive analytics, and decision optimisation. He is currently the CEO of Complexica, a provider of Artificial Intelligence software for optimising sales & marketing decisions, and a director of several ASX-listed companies, including Prophecy International (ASX: PRO), ComOps (ASX: COM), and LBT Innovations (ASX: LBT). He is also the author of several books, including Life in Half a Second, Winning Credibility, Puzzle-Based Learning, and Adaptive Business Intelligence. From 2005 – 2012, Matt was the co-founder and CEO of SolveIT Software, a supply chain optimisation business he grew from zero to almost 180 employees and $20 million in revenue before selling the business to Schneider Electric. Under his leadership, SolveIT Software became the 3rd fastest-growing company in Australia in 2012, as ranked by Deloitte. The company won numerous awards, and counted among its customers some of the largest corporations in the world, including Rio Tinto, BHP Billiton, and Xstrata. From 1999 - 2003, Matt was the co-founder and CEO of NuTech Solutions in the USA, where he raised more than US$15 million in venture capital and grew the business to almost 200 employees in six international offices. Matt established an “A-list” board of directors, which included former President of Poland and Nobel Peace Prize winner, Lech Walesa, former Bank of America Chairman and CEO, Hugh McColl Jr., world-renowned fraud expert and subject of Steven Spielberg's blockbuster "Catch Me if You Can," Frank Abagnale, and former National Security Advisor to the President of the United States, Zbigniew Brzezinski. NuTech Solutions was acquired by Netezza Corporation, which was subsequently acquired by IBM Global Services. From 1994 – 1999, Matt was the founder and operator of Fitness Forever, a personal training business, and later, the co-founder of CFG Investments, a money management and financial planning company with more than $150 million under management. Matt is also a Limited Partner in Blackbird Ventures, an Australian early-stage venture capital fund, and from 2005 - 2016 he held the position of Visiting Fellow at the University of Adelaide where he lectured on the subject of technology commercialisation for graduate students. Matt’s business achievements have been featured in numerous television shows and publications, including Time Magazine, Newsweek, and Forbes. He was named the Pearcey Foundation "Entrepreneur of the Year", Business Journal "40 under 40" list of accomplished business leaders, and Ernst and Young "Entrepreneur of the Year" finalist. Matt holds a Bachelor of Science degree in Corporate Finance from the University of North Carolina in Charlotte, where he was later named "Alumnus of Year." Constantin is an expert in the design and development of commercial software systems with more than 15 years of experience developing enterprise software applications based on the latest advances in Artificial Intelligence. These applications were used by numerous Global 1000 companies to create measurable improvements in revenue and bottom-line profits. In 2005, Constantin co-founded SolveIT Software, an Australian software company specialising in supply chain optimisation. Constantin was a member of the Board of Directors of SolveIT Software and its Chief Software Architect. The company grew from 0 to more than 150 employees from 2005 to 2012 before being sold to Schneider Electric in August 2012. SolveIT Software became the 3rd fastest-growing company in Australia in 2012, as ranked by Deloitte. Internationally renowned Artificial Intelligence expert, Zbigniew Michalewicz has published over 300 articles and 25 books on the subject of predictive analytics, optimisation, and self-learning systems, which have been cited by other 10,000 authors. These include the ground breaking Adaptive Business Intelligence and How to Solve It: Modern Heuristics. Zbigniew is the Chief Scientist at Complexica and Emeritus Professor at the University of Adelaide (where he held the position of Chair of Artificial Intelligence). Zbigniew has over 35 years of academic and industry experience, and possesses expert knowledge of numerous Artificial Intelligence technologies. He was the co-founder and Chief Scientist of NuTech Solutions, (which was acquired by Netezza, and subsequently by IBM), and the co-founder and Chief Scientist of SolveIT Software (which was acquired by Schneider Electric after becoming the 3rd fastest growing company in Australia). Both companies grew to approximately 200 employees before being acquired. During his time in the corporate world, Zbigniew led numerous large-scale predictive analytics and optimization projects for major corporations, including Ford Motor Company, BHP Billiton, U.S. Department of Defence, and Bank of America. Zbigniew Michalewicz also served as the Chairman of the Technical Committee on Evolutionary Computation, and later as the Executive Vice President of IEEE Neural Network Council. Zbigniew Michalewicz received this Ph.D. degree in Computer Science from the Polish Academy of Science; and his Doctor of Science (Habilitation) degree in Computer Science from the Polish Academy of Science. His research interests include Artificial Intelligence, data mining, predictive modelling, optimisation, logistics, big-data analytics, genetic algorithms, neural networks, fuzzy logic, and optimization. In December 2013, the President of Poland, Mr. Bronislaw Komorowski, awarded Zbigniew the Order of the Rebirth of Polish Polonia Restituta, which is the second highest Polish state award for a civilian (after the Order of the White Eagle ), awarded for outstanding achievements in the field of education, science, sports, culture, arts, economy, national defense, social activities, the civil service and the development of good relations with other countries. In 2018 Zbigniew was named winner of the 2018 Science Excellence Awards in the category of STEM Professional (Science, Technology, Engineering and Mathematics). An innovative and strategic thinker with more than 30 years experience in the liquor industry, Doug is Complexica's strategic advisor on product development and go-to-market strategy in the fast-moving-consumer-goods (FMCG) sector. Before joining Complexica, Doug was the CEO of Liquor Marketing Group, which is one of Australia’s leading alcohol marketing groups with more than 1,400 retail outlets that turnover in excess of $1 billion annually. During his tenure at LMG from 2005 – 2016, Doug transformed the business by divesting its wholesaling division, overhauling its systems & processes, and achieving a debt-free position. His initiatives led to improved relationships with key suppliers, more effective marketing programs, and greater service levels to the retail outlets. Prior to LMG, Doug spent almost 15 years with Lion Nathan in a variety of roles, initially in Pepsi Cola Australia (Lion owned), and subsequently in the domestic beer business where Doug led the entire Australian National Sales function. He finished his tenure with Lion as Managing Director of Lion International with direct responsibility for markets in the USA, Canada, the UK, Italy and Japan. Mike Costa is a business leader with over 25 years of IT experience in project and program management, operational management and customer service excellence. Mike’s varied experience spans a range of industry sectors including defence, utilities, telecommunications, manufacturing, oil and gas. Mike has always maintained a strong focus on delivering projects on-time and in an effective manner. Further, he has a strong operational background and has managed the delivery of mission critical applications for external customers. Prior to joining Complexica, Mike held senior roles at IBM, Schneider Electric, and RACV in Victoria. He also holds a Bachelor of Arts from Monash University and a Graduate Diploma in Applied Information Systems from RMIT University. Leonardo’s career in sales spans over almost 15 years, across varied B2B solution selling roles in capability development, sales effectiveness consulting, IT & analytics. Leonardo has a deep appreciation for the value of analysis in effective sales processes and has a passion for leveraging automated analytics and Artificial Intelligence to unlock more effective sales activities and accelerate sales operating rhythms. 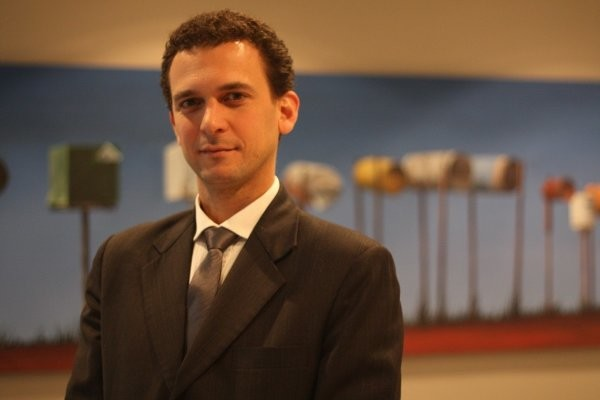 Prior to joining Complexica, Leonardo was a Senior Business Development Manager with Esri, the world’s global leader in Location Intelligence and Analytics and before that, Senior Partner of Growth & Acquisition for Grist, a behavioural change consulting and benchmarking business, specialising in delivering more effective sales conversations in large scale sales operations. Leonardo holds a Master of Business Administration (MBA) with specialisation in Marketing from Deakin University. 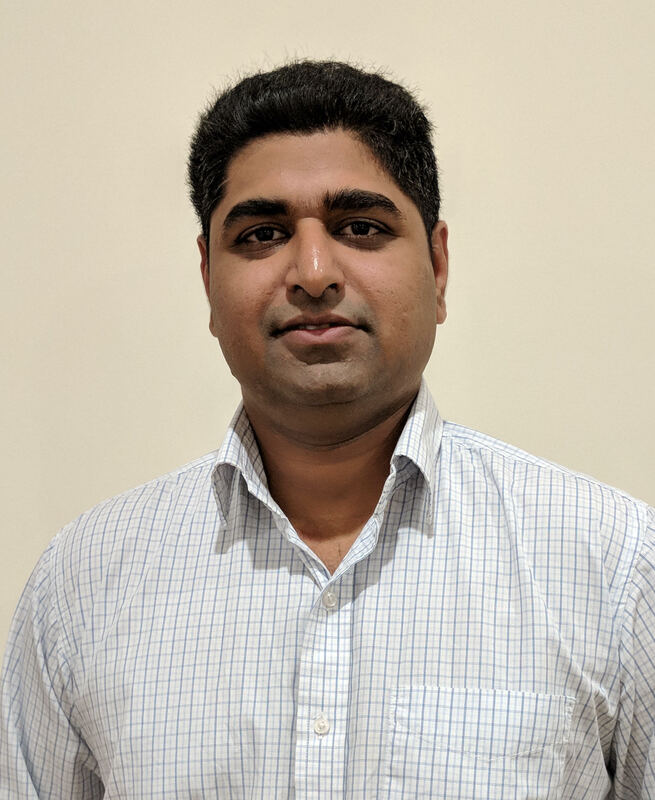 Kalyan Avvaru is the Chief Technology Officer at Complexica, and has over a decade of experience in building and supporting high traffic, high volume transactional systems. Kalyan works closely with Complexica customers and internal technical teams to deliver product management, planning, solution scoping, software development and infrastructure management. Prior to Complexica, Kalyan worked in various across a variety of domains - including compliance management, human resources, and logistics - delivering B2B SaaS-based applications. In previous roles Kalyan worked with major companies across Australia in the construction and health care industries doing pre-sales and technical consulting, advising technical teams on large scale application integration. He also has specialized knowledge and experience in full-stack application performance engineering to scale applications for large user bases. Kalyan moved to Adelaide, Australia in 2004 from India to do his Masters in Computer & Information Science from the University of South Australia, and prior to that, he received an Engineering Bachelors degree in Computer Science. He currently lives in Adelaide with his wife Min. Murad Mekhtiev is the manager of business and data analysis at Complexica, with a passion for bridging the gap between business and science, and empowering decision makers with data-driven insights. Prior to joining Complexica, Murad held analyst roles in the telecommunications sector, where he conducted statistical modelling, customer segmentation and market analysis. In addition, he was an early employee at GradConnection, a successful Australian startup, where he grew the customer base and helped clients optimise their digital marketing campaigns, as well as a National Director of AIESEC, the world's largest student organisation. Murad has a Master of Data Science from the University of South Australia, and also holds a Bachelor of Arts in Political Science from Monash University. Larisa is a marketing professional with a passion for digital marketing, in particular PPC, social media, and search engine optimisation. She holds a Masters degree in Business Administration/Marketing from the University of Adelaide. 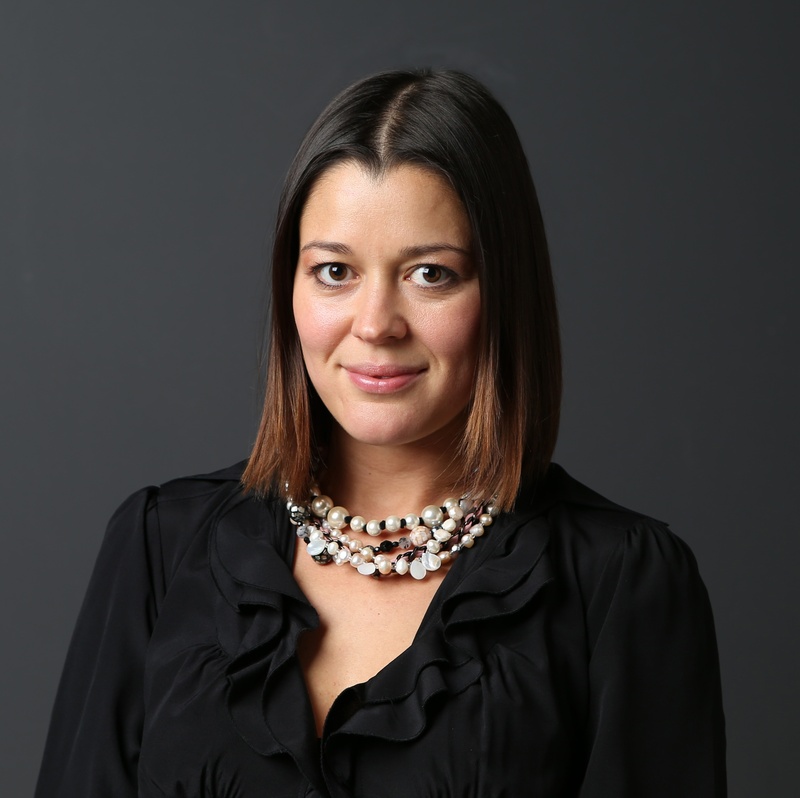 Prior to joining Complexica, Larisa was the Marketing Manager at SolveIT Software, an Australian company specialising in supply chain optimisation. The company grew from zero to almost 180 employees during the period 2005 - 2012, before being acquired by Schneider Electric. Due to Larisa's leadership in marketing, the company won numerous awards, including the National iAward for e-Logistics and Supply Chain Management and the Australian Business Awards for Product Excellence, and added some of the largest corporations in the world as customers, including Rio Tinto, BHP Billiton, and Xstrata. Sabina is a digital marketing specialist focused on content marketing, social media marketing, Google Analytics, SEO, web content management, conversion optimisation and PPC. As Complexica’s Marketing Coordinator Sabina helps Complexica reach more companies and users. She is also studying a Postgraduate Diploma in Digital Marketing with Digital Marketing Institute, the largest global certification body for digital marketing. Aditya is a Business & Data Analyst at Complexica, where his responsibilities include gathering requirements, performing data-driven analysis, and transforming these into business requirements and customer insights. Previously, he worked at CSIRO/Data 61 in the Machine Learning group, where he worked on Natural Language Processing, time-dependent forecasting, and Bayesian statistics. His core interest is in understanding and acquiring the right approach for statistical models. He graduated from the Australian National University with his masters in Machine Learning/Artificial Intelligence. He completed his Bachelor of Engineering in Electronics in India. Irfan is a Business & Data Analyst at Complexica, with enthusiasm and passion for using data analytics and statistical modelling to discover value-adding insights. Prior to joining Complexica, Irfan worked on several projects in data science and machine learning, including with Data 2 Decision CRC on the project for sentiment analysis and modelling for predicting civil unrest, and with ActiveOps, where he worked on forecasting and predictive modelling to improve workload forecasting & productivity. During the past decade, Irfan also worked for Flight Centre in the retail sector, where he applied analytics and sentiment analysis to develop customer insights, improve customer lifetime value, and enhance retention and revenue. Irfan also conducts volunteer work, most recently at the Red Cross where he built an interactive dashboard for analytics and scenario analysis for understanding the impact on various Red Cross programs. Before coming to Australia, he lived in Dubai and worked in FMCG and construction sectors. 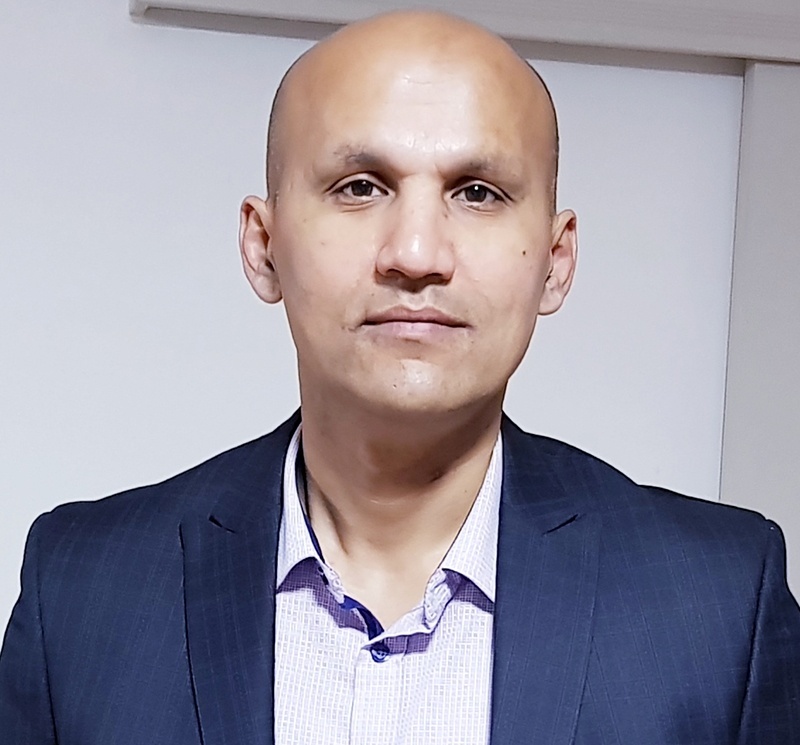 Irfan holds a Masters degree in Data Science with high distinction from the University of South Australia and also a Bachelor in Business (Marketing) from the University of Western Sydney. Xiang Li has almost a decade of experience in algorithmic design, development, and implementation within an enterprise software architecture. 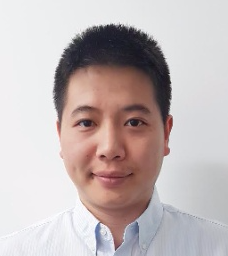 Prior to joining Complexica, Xiang was an Optimization Scientist for Schneider Electric, where he was the primary designer of many optimization engines, including blending for grain growers through to crew rostering/forecasting within mining supply chains. From those projects, Xiang published a number of scientific papers on the application of Hybrid Evolutionary Algorithms for complex real-world problems. Apart from algorithm design, he was also responsible for the development of common optimization libraries at Schneider Electric, and led the algorithm study group where he hosted regular presentations to introduce new technologies into the business. 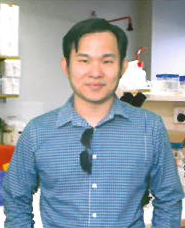 Xiang Li graduated from the University of Adelaide with a First Class Honours degree in Computer Science. Lukasz obtained his Bachelor’s and Master’s degree in Computer Science from Wroclaw University of Science and Technology. He was ranked as one of top 10 students of his graduating class, finishing studies with the highest mark and merit. His main research interest was in machine learning, where he specialised in deep neural networks, optimisation, predictive modelling, classification, and clustering. 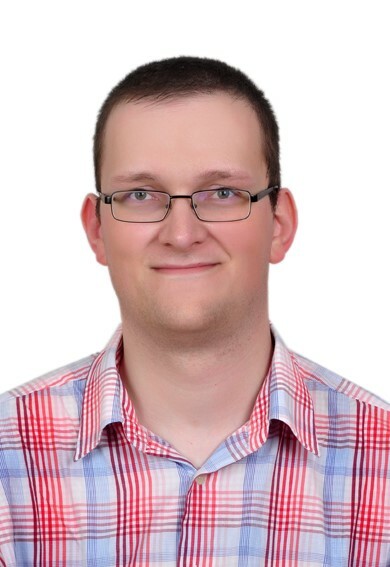 Lukasz's interest in machine learning has been further developed during his doctoral studies. At that time he has obtained a one-year scholarship at Hunter Medical Research Institute and he currently serves as a reviewer for many advanced journals in Artificial Intelligence. Lukasz is a co-author of many machine learning articles and has presented his research at high-quality international conferences. Prior to joining Complexica he took part in several scientific projects involving Artificial Intelligence and software development. Besides his scientific interests, he has several years of experience as a professional software developer at Nokia Networks. His primary interest focuses on the application of scientific methods to real-life practical problems. Lukasz used to play the electric guitar as a member of a rock band performing at festivals and concerts, and enjoys motorcycle riding and hiking. Ali Shemshadi received his Ph.D. from the University of Adelaide, where he worked on the practical applications of searching and analysing big data from emerging paradigms such as the Internet of Things. During his academic career, Ali published more than 20 scientific papers in leading journals, conference proceedings, and book chapters, spanning a variety of fields such as Internet of Things, Supply Chain Management, Analytical Decision Making, and Machine Learning. He has also served on various conference committees and international journals in roles ranging from Committee Member and Reviewer, through to Program Chair. His teaching roles also include Associate Lecturer and Course Coordinator for a number of advanced courses at the University of Adelaide. Prior to joining Complexica, Ali specialised in developing complex analytical/machine learning software for multi-national organisations. In particular, he successfully deliver a number of software projects in various industry sectors, including manufacturing, financial services, education, transport, and media, which are still in production use today. Furthermore, throughout his academic and business career, many of his projects have been recognised with national and international awards for innovation. 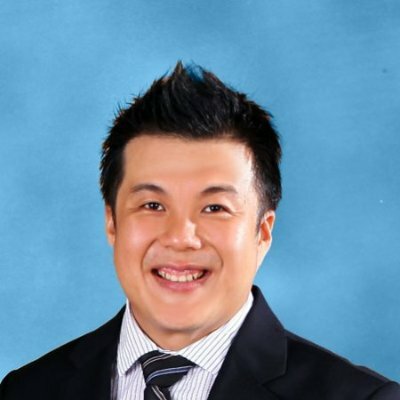 Dr. Riky Tan has more than 10 years of experience in software development, architecture, and technical design. Prior to joining Complexica, Riky was a software team lead for Schneider Electric, where he led large scale software implementation projects for global companies such as BHP Billiton, Roy Hill, and Treasury Wine Estates. From 2005 to 2011, Riky was a lecturer at the University of Ballarat and the International Institute of Business Information & Technology in Adelaide, delivering IT courses specialising in programming, software engineering, and database management. Before this, he held various positions as IT Manager and System Analyst for various Universities around South East Asia. Riky holds a Ph.D. degree in Information Technology & Computing from the University of South Australia, along with a Masters of Computer Science and a Bachelor of Computer Science. Riky has carried out research and developed software in the areas of Artificial Intelligence, data mining, and information visualisation and retrieval. Jon has more than a decade of experience delivering software projects across various industries and verticals, including payments, manufacturing, and financial services. Aside from his hands-on technical experience, Jon has also worked on projects involving people and project management. In his role as aTechnical Project Manager/Product Owner for Complexica, Jon helps deliver and maintain software products deployed for Complexica's customers. Jon works closely with the customer's internal technical team to ensure that projects are delivered according to plan, budget, and specification. Jon holds a Bachelor of Computing from Monash University and currently resides in Adelaide with his wife and three children. Abdelrahman is an energetic IT professional with speciality in software development, with an academic background and more than 15 years of experience developing and delivering successful software projects across various industries and in different countries. 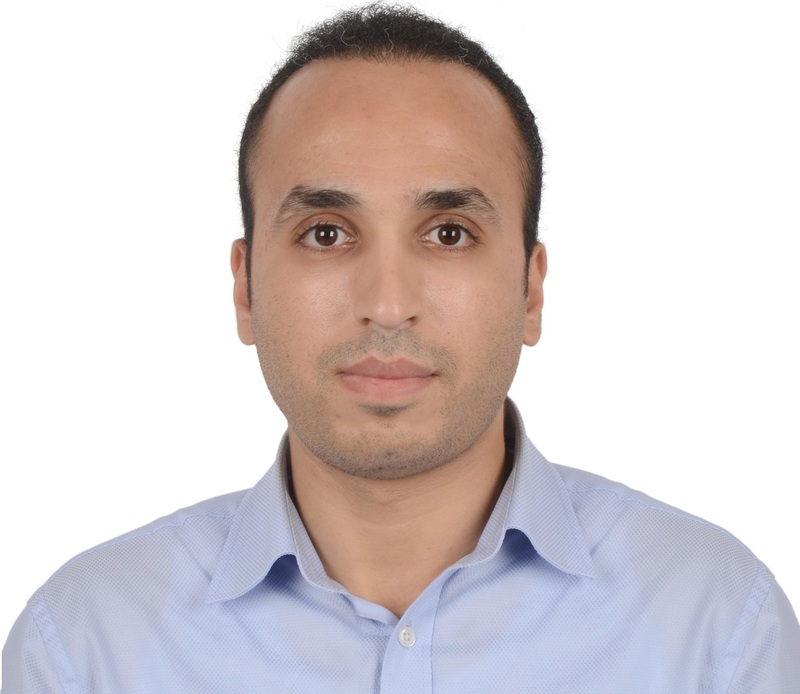 Prior to joining Complexica, Abdelrahman was a software team lead for Kineo, where he led a team responsible for developing and delivering a cloud based LMS & eLeaning platform. As a technical team lead, Abdelrahman is responsible for the design and implementation of several software products for Complexica, in addition to supervising and mentoring other team members. Abdelrahman holds a M.Sc. degree in Computer Science from Cairo university along with a bachelor of Computer Science. 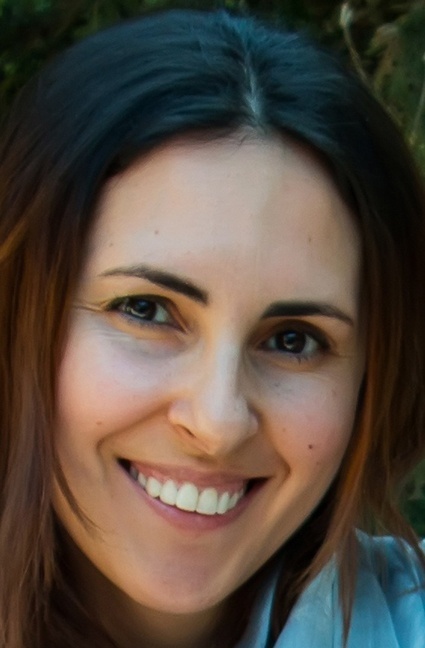 Luiza has a background in marketing and consumer psychology, and holds a Masters degree in Business Administration from the University of Adelaide. 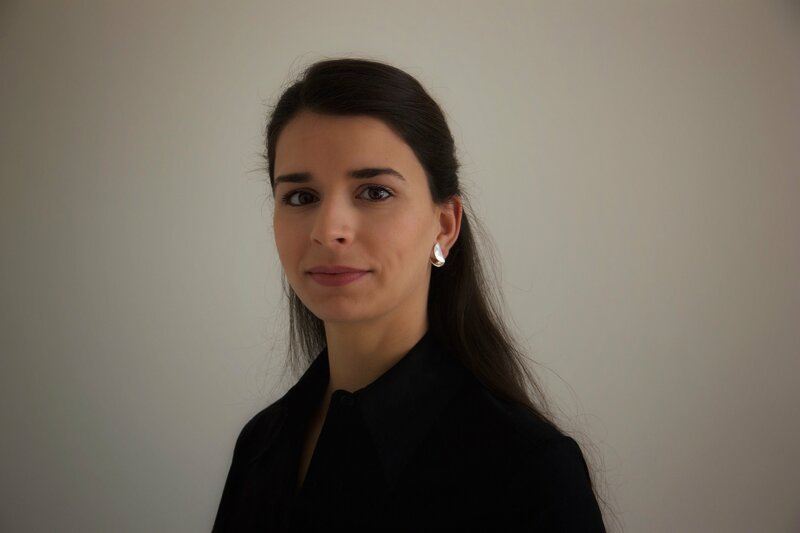 Prior to joining Complexica, Luiza was a Customer Experience Analyst at SolveIT Software, a software provider of supply chain optimisation software. As the company grew from zero to almost 180 employees during the period 2005 - 2012, Luiza's team engaged with largest corporations in the world, including Rio Tinto, BHP Billiton, and Xstrata. Prior to SolveIT Software, Luiza worked in the United States in various marketing and customer experience roles, most notably at NuTech Solutions and Excavio Systems, which were later acquired by Netezza and IBM global services. Hugh is a designer motivated by creating delightful user interfaces and ensuring they meet exceed customer expectations. At Complexica, he gathers customer experience data to analyse user feedback, determine satisfaction, interpret results to senior management, and develop solutions to customer service challenges. Prior to joining Complexica he was the Technical Writing Lead for Schneider Electric, where he developed end-user training materials for the mining industry. The exposure from working directly with customers using the product formalised his interests in devising better user experiences and implementing solutions. Hugh holds a Bachelor of Information Technology from Flinders University and has strong interests in mechanical design. He spends his spare time in his own workshop where he restores and rebuilds cars. 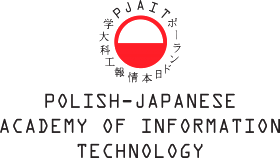 The Polish-Japanese Academy of Information Technology was set up in 1994 between the governments of Poland and Japan. Today, the Academy is a leading institute in Poland, taking the 2nd position in the Wprost ranking list of the best non-state schools in 2014, and 5th position among all academic institutions (state and non-state). The main campus of the Polish-Japanese Academy of Information Technology is located in Warsaw, Poland. Complexica cooperates with the Polish-Japanese Academy of Information Technology on social informatics – in particular, on issues related to the relationships that occur between society and information systems. The changes in social structures are examined that are under the influence of modern information technology, especially in the context of systems such as GitHub or Wikipedia. Also, research issues include investigations on how social mechanisms can improve the quality of information systems, such as reputational systems within an e-commerce context. The interdisciplinary team within the Polish-Japanese Academy of Information Technology has considerable expertise in social network analysis, natural language processing, social simulations, and machine learning. Based in Melbourne, Australia, RMIT University was founded in 1887 and today has an enrollment of over 80,000 students across vocational, undergraduate and postgraduate levels. Complexica cooperates with the Evolutionary Computing and Machine Learning (ECML) group at RMIT on nature-inspired computational models and algorithms, especially in the areas of evolutionary computation and machine learning. The research takes an inter-disciplinary approach drawing on inspirations from mathematical programming, meta-heuristics, and operations research. Some current research topics include reinforcement learning, deep learning, multi-objective optimization, data mining and analytics, computer vision, time series analysis, evolutionary art, journey planning, and swarm intelligence. The University of Adelaide was established in 1874 and it is the third oldest university in Australia. It is consistently ranked in the top 1% of universities worldwide. 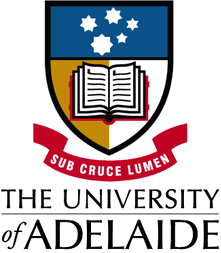 Complexica cooperates with the School of Computer Science at the University of Adelaide on research topics related to data mining and analytics. These include research on various heuristic methods – how these methods work and how they are able to deal with different types of data problems. The research aims to build up a theory of heuristic methods including evolutionary algorithms and ant colony optimisation that helps to develop new effective approaches based on theoretical insights. Also, problems in the area of social choice are investigated to develop new approaches for dealing with game-theory problems. Other research topics relate to Platforms for People as a Service (PeaaS), evolving critical systems, and cyber security and privacy. Founded by a group of ex-University of Technology Sydney (UTS) Ph.D.s, the International Institute of Data and Analytics aims to bridge the gap between academia and business and to build a platform for interactions and collaborations between outstanding researchers, practitioners, and educators. Complexica cooperates with the Institute in the areas of data science, big data analytics technology, algorithms and models for cracking challenges in complex data and behaviors. The research topics include community analysis, sentiment understanding, behavior analytics, social analytics, and online analytics in evolving data with complex networking behaviors and relationships in a mixed, interconnected and/or changing environment. Kenneth De Jong received his Ph.D. degree in computer science from the University of Michigan in 1975. He joined George Mason University in 1984 and is currently a Professor of Computer Science, head of the Evolutionary Computation Laboratory, and Interim Director of the Krasnov Institute. 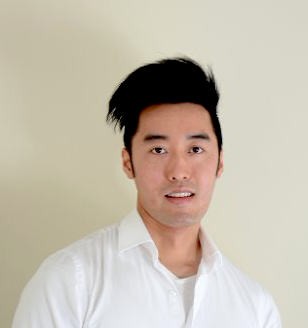 Kenneth’s research interests include genetic algorithms, evolutionary computation, machine learning, and adaptive systems. He is currently involved in research projects involving the development of new evolutionary algorithm (EA) theory, the use of EAs as heuristics for NP-hard problems, and the application of EAs to the problem of learning task programs in domains such as robot navigation and game playing. He is an active member of the Evolutionary Computation research community, including the founding Editor-in-Chief of the journal Evolutionary Computation (MIT Press), and a member of the board of ACM SIGEVO. He is also the recipient of an IEEE Pioneer Award in the field of Evolutionary Computation and the Lifetime Achievement Award from the Evolutionary Programming Society. Frank Neumann received his Ph.D. degree from the Christian-Albrechts-University of Kiel in 2006. Currently, he is an Associate Professor at the University of Adelaide and the leader of the Optimisation and Logistics Group within the School of Computer Science. Frank organised the ACM FOGA 2013 in Adelaide with Kenneth De Jong, and co-authored the textbook Bioinspired Computation in Combinatorial Optimization - Algorithms and Their Computational Complexity (Springer) with Carsten Witt. Frank is an Associate Editor of the Journal of Evolutionary Computation (MIT Press) and Vice-Chair of IEEE Task Force on Theoretical Foundations of Bio-inspired Computation. In his work, he considers algorithmic approaches for combinatorial and multi-objective optimization problems and focuses on the theoretical aspects of evolutionary computation, as well as applications in the areas of renewable energy, logistics, and sports. Xiaodong Li received his Ph.D. degree in information science from the University of Otago in New Zealand, and is currently an Associate Professor at the School of Computer Science and Information Technology at RMIT University. His research interests include evolutionary computation, machine learning, complex systems, multi-objective optimization, and swarm intelligence, and he serves as an Associate Editor of the IEEE Transactions on Evolutionary Computation, the journal of Swarm Intelligence, and International Journal of Swarm Intelligence Research. Kalyanmoy Deb holds the Endowed Chair in the Department of Electrical and Computing Engineering at Michigan State University. Prior to this position, he held the positions of Endowed Chair in the Department of Mechanical Engineering at the Indian Institute of Technology in India. Kalyanmoy’s interests lie in the development and application of multi-criterion optimization methods for solving problems in the area of design, modeling, process control, scheduling, resource allocation and machine learning, as well as large-scale and non-linear problems for which customized optimization methods are most suitable. 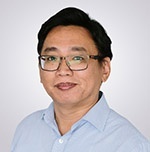 Raymond Chiong received his Ph.D. degree from the University of Melbourne in Australia, and has taught a variety of computer science and information systems courses at Swinburne University of Technology before joining the University of Newcastle in early 2013. Besides teaching, he conducts research related to evolutionary game theory, optimisation, data analytics, and modelling of complex adaptive systems. Raymond was the Editor-in-Chief of the Interdisciplinary Journal of Information, Knowledge, and Management from 2011 to 2014, and is currently an Editor for the Journal Engineering Applications of Artificial Intelligence and an Associate Editor for the IEEE Computational Intelligence Magazine. He has also served as Guest Editor for a number of reputable international journals, such as the International Journal of Production Economics and the European Journal of Operational Research. He is a Senior Member of IEEE, and one of the Founding Co-Chairs of the IEEE Symposium on Computational Intelligence in Production and Logistics Systems. To date, he has produced/co-authored over 100 refereed publications in the form of books, book chapters, journal articles and conference papers. Adam Wierzbicki received his Ph.D. degree from the Warsaw University of Technology and a habilitation title from the Institute of Systems Research of the Polish Academy of Sciences. He is currently a Professor and Vice-President at the Polish-Japanese Institute for Information Technology in Poland. Adam is an expert in big data, data mining, and machine learning, and has considerable experience in simulation and multi-agent systems. His current research interests focus on social informatics, in particular on credibility, trust management, collective intelligence and fairness in distributed systems. He has published several papers on trust management and on applications of the theory of equity to provide fairness in open distributed systems, and is the author of a Springer book titled Trust and Fairness in Open, Distributed Systems. He is also interested in open collaboration, particularly using Wiki technology, and in Crowdsourcing, with an emphasis on new algorithms for evaluating and managing Crowdsourcing workers. In 2011-2015 Adam headed the Reconcile Project, which developed tools for the evaluation of Web content credibility. Reza Bonyadi received his Ph.D. in computer science from the University of Adelaide, where he focused on the theoretical aspects of continuous space optimization algorithms such as stability, convergence, and transformation invariance. During his academic career he published more than 35 articles in top international journals, conferences, and chapter of books in the field of optimization, pattern recognition, and machine learning. He has been involved as a committee member in many international journals and conferences in the field of optimization and machine learning. Apart from his academic activities, Reza has significant experience in designing software solutions for complex analytical/machine learning problems for large organisations. His expertise lies in designing decision support systems, stochastic simulators, pattern recognition and data clustering algorithms, and trend prediction/learning methods for complex real-world problems. Thomas Weise received his Ph.D. degree from the University of Kassel and a Diplom-Informatiker from the Chemnitz' University of Technology in Germany. He joined the University of Science and Technology of China (USTC) in 2009 and became Associate Professor in 2011. In 2016, he became Full Professor at Hefei University (HFUU). He is the director of the Institute of Applied Optimization. Thomas has made significant contributions to the fields of optimization, logistic planning, and Evolutionary Computation, and has authored/co-authored more than 90 publications. He is also the developer of an open source optimization and machine learning benchmarking tool, which mines performance information from large data sets to support researchers and practitioners in developing efficient computational intelligence solutions. General Chair of the 2013 IEEE Congress on Evolutionary Computation. 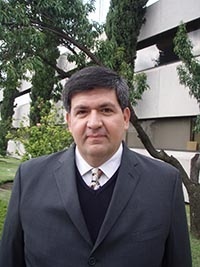 Carlos has received several awards, including the 2012 National Medal of Science and Arts in the area of Physical, Mathematical and Natural Sciences (the highest award that a scientist can receive in Mexico) and the prestigious 2013 IEEE Kiyo Tomiyasu Award "for pioneering contributions to single- and multi-objective optimization techniques using bio-inspired meta-heuristics". He has produced/co-authored over 450 refereed publications in the form of books, book chapters, journal articles and conference papers. Best Paper Award for his work on Evolving Pacing Strategies for Team Pursuit Track Cycling. Markus has been awarded grants from the Australian Research Council (ARC) and Google Australia, and he is the Founding Chair of the IEEE CIS Task Force on "Computational Intelligence in the Energy Domain" and Chair of IEEE CIS Education Subcommittees. To date, he has co-authored over 50 refereed publications in the form of book chapters, journal articles, and conference papers. Masoud Mohammadian received his Ph.D. degree from the University of Central Queensland, before joining the University of Canberra in 1998. Besides teaching various undergraduate and graduate courses, his research interests include neural networks, fuzzy logic, evolutionary computing, optimisation, data analytics, and modelling of complex adaptive systems, as well as the application of computational intelligence techniques for learning and adaptation of intelligent agents, and web-based information filtering and data mining. Masoud has successfully completed many industry projects related to real-time data processing, planning, and decision-making. Masoud has edited over 20 books and conference proceedings in the area of Computational Intelligence and Intelligent Agents, and authored more than 130 peer-reviewed publications in the form of books, book chapters, journal articles and conference papers. He has also chaired and co-chaired over 14 international conferences in the area of Computational Intelligence and Intelligent Agents. Genetic Programming and Evolvable Machines. Founding Chair of IEEE Chapter on Computational Intelligence in New Zealand. To date, Mengjie has produced/co-authored over 350 refereed publications in the form of book chapters, journal articles and conference papers. Zbigniew Ras received his Ph.D. degree from the University of Warsaw in Poland, and his D.Sc. degree from the Institute of Computer Science at the Polish Academy of Sciences. He was also awarded the National Professorship title by the President of Poland, and is currently a Professor of computer science at the University of North Carolina in Charlotte. Member of Editorial Board of Fundamenta Informaticae Journal (IOS Press). Zbigniew is the author of more than 300 publications and the editor of more than 40 books published by Springer and North Holland. He has received many awards including the Harshini V. de Silva Graduate Mentor Award, the COIT Graduate Faculty Excellence in Teaching Award, and the Alcoa Foundation Outstanding Faculty Award. 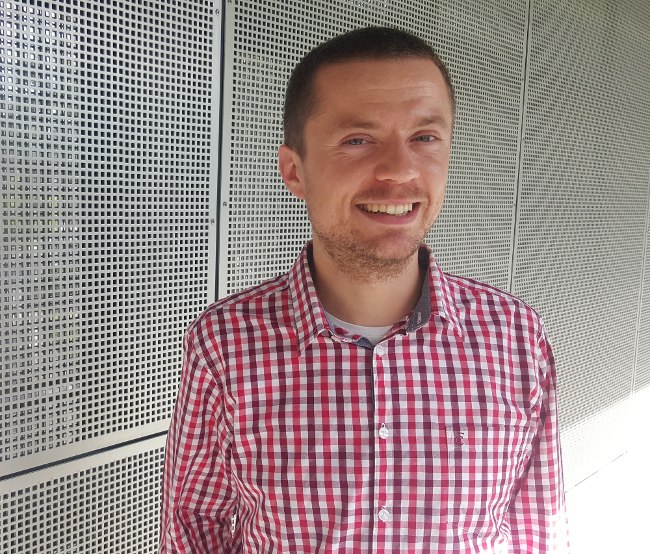 Zbigniew has also received numerous competitive grants and industry contracts, and has graduated 15 PhD students. A.E. Eiben received his Ph.D. degree from the Eindhoven University of Technology in the Netherlands. He is one of Europe’s “early birds” of Evolutionary Computing, with his first paper dating back to 1989. Since then, he’s became one of Europe’s leading Evolutionary Computing researchers, actively pursuing research related to evolutionary operators, constraint handling, parameter calibration, and most recently evolutionary robotics. Advisor and Proposal Evaluator for the European Commission’s IST funding program. Ernesto Costa received his Ph.D. degree from the University of Coimbra in Portugal, where he currently serves as Professor at the Department of Informatics Engineering. Besides teaching, Ernesto has been doing research in the areas of evolutionary computation, artificial life, complex systems, machine learning, cognition and computational biology. He is currently the Associate Editor of the International Journal of Natural Computing Research, and was the recipient of the 2009 EvoStar Award for “Outstanding Contributions to the Field of Evolutionary Computation.” Ernesto has organized several international scientific events and has published over 150 refereed publications in books, book chapters, journals and proceedings of conferences. Since December 2012, he is a member of the General Council of the University of Coimbra, a governing board of the university. Pablo Moscato is an Australian Research Council Future Fellow (2012-16) and a Professor of Computer Science at The University of Newcastle. At the California Institute of Technology (1988-89) he developed a methodology called memetic algorithms, which is now widely used around the world in Artificial Intelligence, Data Science, and Business and Consumer Analytics. Pablo is Founding Director of the Priority Research Centre for Bioinformatics, Biomarker Discovery and Information-based Medicine (2007-2015), and the Funding Director of Newcastle Bioinformatics Initiative (2002-2006) of The University of Newcastle. His expertise in Data Science was essential for a large number of applied projects. Pablo has been working in Applied Mathematics for 30 years, and in heuristic methods for Operations Research problems since 1985. His work and ideas have been highly influential in a large number of scientific and technological fields and his manuscripts have been widely cited. The journal "Memetic Computing" is largely dedicated to a methodology he championed. Every 48 hours a new published paper describes a novel application of these techniques. Due this work and his other contributions in the areas of classification and machine learning, Pablo Moscato is very well-respected in the global academia and industry and has become one of Australia's most cited and influential computer scientists. Vic Ciesielski received his Ph.D. from Rutgers University in New Jersey. He is currently an Associate Professor in the School of Computer Science and Information Technology at RMIT University where he heads the Evolutionary Computation and Machine Learning Group. His research interests include genetic programming, data mining, evolutionary computer vision, deep learning and evolutionary art. Vic has a record of successful application of Artificial Intelligence techniques to industrial problems. 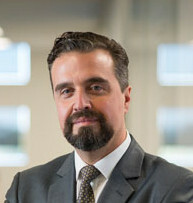 He has provided the scientific direction for over 20 industry projects of various sizes, which have involved the application of Artificial Intelligence techniques. These include an insurance underwriting system based on expert system technologies, an obstacle avoidance system for autonomous mining vehicles operating in tunnels, which uses machine learning and computer vision techniques, and a malt quality analysis system based on machine learning and texture analysis. Most recently he is responsible for the data mining behind the realas.com.au house price prediction app. Łukasz Brocki received his Ph.D. degree from the Polish-Japanese Academy of Information Technology. His research was focused on using recurrent neural networks for acoustic and language modeling for speech recognition. Łukasz took part in several European scientific projects including Luna, EU-Bridge or Clarin. His current research interests focus on deep learning, stacked LSTM neural networks, extreme learning machines and evolutionary computation. He has published several papers on using neural networks in language technology and prediction tasks. Łukasz gathered experience while working in IBM Deutschland Entwicklung GmbH, Voice Department, where he was a member of international group working with the world's longest commercially developed speech recognition system – IBM ViaVoice. Łukasz founded Primespeech, the first Polish company that specializes in developing speech and language technology. Primespeech also produces optimization and prediction software that apply deep learning algorithms. The company's customers include key organizations in Poland such as PZU, City of Warsaw and the Polish Bank Association. Longbing Cao is a professor of information technology at the University of Technology in Sydney, Australia. As the founding Director of the university’s research institute: Advanced Analytics Institute, he created a few successful showcases that have been widely recognized, such as the only Australian group specially mentioned in the Australian government papers on big data, and the ATO annual reports and OECD reports on taxation analytics. Motivated by focusing on both high quality research and high impact development, he proposed several new concepts and supporting theories and tools, including non-IIDness learning, behaviour informatics, domain-driven data mining, and agent mining. He has also been leading many large analytical projects for the federal and state governments and large businesses in both Australia and China. Longbing has been a key driver of several global initiatives in data science and analytics. He initiated the globally first research degrees in analytics: PhD Analytics and Master of Analytics (Research) in 2011 at UTS. He is the chair of the IEEE Task Force on Data Science and Advanced Analytics and the IEEE Task Force on Behavioral, Economic, and Socio-cultural Computing, and the chair of the ACM SIGKDD Australia and New Zealand Chapter. He also founded the IEEE International Conference on Data Science and Advanced Analytics, and is the Editor-in-Chief of the International Journal of Data Science and Analytics and the book series editor of the Data Analytics book series with Springer. "Larry will be our digital expert that will enable our sales team and add that technological advantage that our competitors don't have." "Following a successful proof-of-concept earlier this year, we have selected Complexica as our vendor of choice for standardizing and optimising our promotional planning activities. Complexica’s Promotional Campaign Manager will provide us with a cloud-based platform for automating and optimising promotional planning for more than 2,700 stores, leading to improved decision-making, promotional effectiveness, and financial outcomes for our retail stores." "After evaluating a number of software applications and vendors available on the market, we have decided to partner with Complexica for sales force optimisation and automation. We have found Complexica’s applications to be best suited for our extensive SKU range and large set of customers, being capable of generating recommendations and insights without burdening our sales staff with endless data analysis and interpretation. We have been enjoying working with Complexica and particularly like their partnering approach to solving customer problems. We look forward to deploying Complexica within our business to help sales staff focus on what they do best – providing maximum value and service to our customers." "DuluxGroup is pleased to expand its relationship with Complexica, a valued strategic partner and supplier to our business. Complexica’s software will enable DuluxGroup to reduce the amount of time required to generate usable insights, increase our campaign automation capability, personalise our communications based on core metrics, and close the loop on sales results to optimise ongoing digital marketing activity." "As a global innovator in the wine industry, Pernod Ricard Winemakers is always seeking ways to gain efficiencies and best practices across our operational sites. Given the rise of Artificial Intelligence and big data analytics in recent times, we have engaged Complexica to explore how we can achieve a best-in-class wine supply chain using their cloud-based software applications. The engagement is focused on Australia & New Zealand, with a view to expand globally." "70% - 80% of what we do is about promotional activity, promotional pricing -- essentially what we take to the marketplace. This is one of the most comprehensive, most complex, one of the most difficult aspect of our business to get right. With Complexica, we will be best in class - there will not be anybody in the market that can perform this task more effectively or more efficiently than we can." "The key thing that makes such a difference in working with Complexica is their focus on delivering the business benefits and outcomes of the project." "Australia needs smart technology and people, and it has been a great experience for me to observe Complexica co-founders Zbigniew and Matt Michalewicz assemble great teams of people using their mathematical, logic, programming, and business skills to create world-beating products. They are leaders in taking our bright graduates and forging them into the businesses of the future." "Having known the team behind Complexica for some years ago now, I am struck by their ability to make the complex simple - to use data and all its possibilities for useful purpose. They bring real intelligence to AI and have an commercial approach to its application." "I have worked with the team at Complexica for a number of years and have found them professional, innovative and have appreciated their partnership approach to delivering solutions to complex problems." “Working with Complexica to deliver Project Automate has been a true partnership from the initial stages of analysis of LMG’s existing processes and data handling, through scoping and development phase and onto delivery and process change adoption. The Complexica team have delivered considerable value at each stage and will continue to be a valued partner to LMG." "The team behind Complexica develops software products that are at the cutting edge of science and technology, always focused on the opportunities to deliver a decisive competitive edge to business. It has always been a great experience collaborating with Matthew, Zbigniew and Co."
"The innovations that the Complexica team are capable of continue to amaze me. They look at problems from the client side and use a unique approach to collaborating with and deeply understanding their customers challenges. This uniquely differentiates what they bring to market and how they deliver value to customers." "Complexica will allow Treasury Wine Estates to modernise its process of conducting customer service related analysis, to a software application that can answer complex questions and optimise for various KPIs at the press of a button. We have found that answering complex “what-if” questions is a challenging and time-consuming endeavour, and we believe Complexica’s What-if Simulator & Optimiser can provide us with a platform for scenario analysis that will improve our decision-making in the future." "After an evaluation process and successful proof-of-concept in 2016, we have chosen to partner with Complexica to upgrade the technological capability of our in-field sales force. The next-generation Customer Opportunity Profiler provided by Complexica will serve as a key tool for sales staff to optimise their daily activities, personalise conversations and interactions with customers, and analyse data to generate actionable insights." "After evaluating a number of software systems available in the marketplace, we have ultimately selected Complexica as our vendor of choice for sales force automation and CRM. Given the large SKU range we carry and very long tail of customers we serve, Complexica’s applications are best suited to deal with this inherent complexity without burdening our staff with endless data entry."